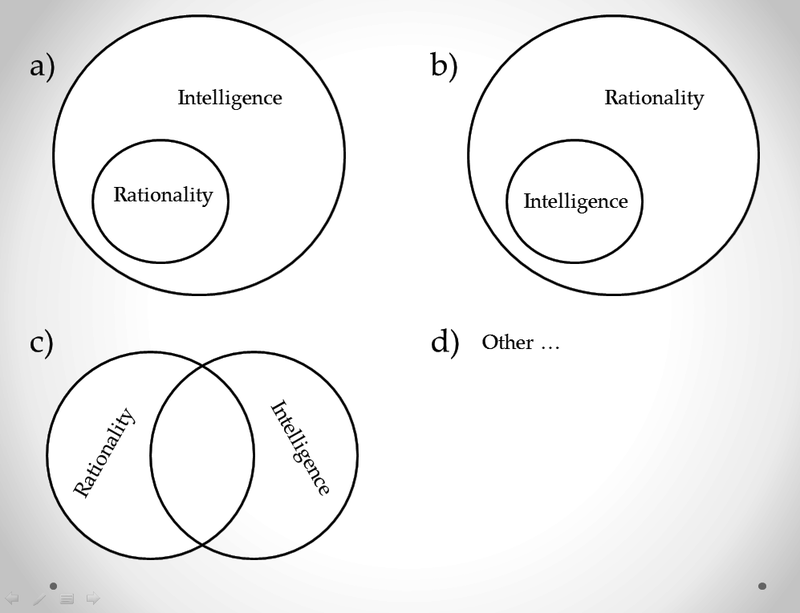 The Progress-Focused Approach: Which of these describes the relationship between intelligence and rationality most accurately? Which of these describes the relationship between intelligence and rationality most accurately? I view rationals as a subset of inteligents with the mention that I view intelligence closer to what Sir Ken describes in The Element. Hi Peter, thanks for your thoughts. Curious what other people think. Anyone go for one of the other options?